A simple understanding of a profit and loss statement is the first thing an entrepreneur should be aware of. Many entrepreneurs do not actually take this into consideration for their start-up needs. No doubt, they are enthusiastic and passionate about what they are doing but understanding the need for accounts management and knowing where to begin is highly crucial. Having the relevant knowledge about this vital aspect of any business is a blessing and huge help. It makes the execution of business operations easier than one can imagine. A simple guide to a profit and loss statement is important and helps in understanding how to balance the accounts. A business’s finance aspects are the reasons that it is able to cope with it’s activities. There are literally hundreds of entrepreneurs who overlook the importance of statements, indicating that their financial situation must be, in some ways, overseen. These matters can be addressed without the need of being a qualified certified professional accountant. These basics can really help in understanding how to better manage and effectively implement methods into a system. This simple guide about profit and loss statements contains some important key points to remember. A profit and loss statement is a summary of the expense incurred and the revenue generated by a business. Usually, it is a financial tool that helps relevant professionals sum up the overall health and performance of a company. The keywords that are used here are revenue and expenses. The International Accounting Standards Board is responsible for all guidelines issued to the public. Global organizations, like FASB in the US, help it with setting policies and regulations. Due to the nature of different types of accounts for various types of organizations, jurisdictions, and practices, statements can differ. Usually, in the profit and loss statement, the summary is always included to sum the following information. The revenue contains all of the important information regarding inflow of cash, assets, etc. During a specific period of time, all recorded elements such as services, producing goods, or any other activities that have generated revenue are calculated. The gross revenue of any business, that sells a product or its services, is recorded in the statement. It is an elemental part of the statement. COGS (cost of goods sold): All costs that are related to its production. All goods sold, incurring any amount, are recorded here for accounting and bookkeeping purposes. This can include labor, material costs, overheads, etc. SGA Costs (Selling, General, and Administrative): These are indirect costs incurred. In a simple guide for the non-technical, these are the costs borne by a business through proactively running it. These are all expenses undertaken, shown in the profit and loss statement, to sell goods, run showrooms or factories, or conduct manufacturing. Also, these costs are related to salaries, offices, utilities, insurance, equipment, suppliers, vendors, etc. Depreciation is not the market value decrements, but it is the charge in regards to fixed assets which are capitalized on the balance sheet for specific accounting purposes. It is note-worthy to point out that any business that has more expenses than revenue is headed towards trouble. A business that has more revenue than expenses heads towards success. From the above, entrepreneurs without an accounting background can easily get an idea about a profit and loss statement and its importance in the business. 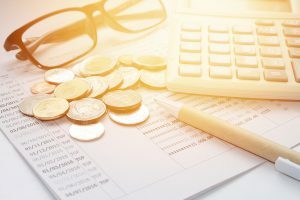 Trying to weigh a situation regarding a business’ financial position can be easily comprehended from understanding this vital tool of a business. Without understanding or reading statements, a business cannot even begin to take a direction nor can the entrepreneur, who invests much of their time and money into creating a sustainable business, be successful. If you are someone who has never viewed this financial tool, you are not alone. This is one of the most commonly occurring mistakes that one can do. It is important to understand the profit and loss statement like any other documentation in a business.